Ivanka to Tiffany Trump Tag, You're It!!! 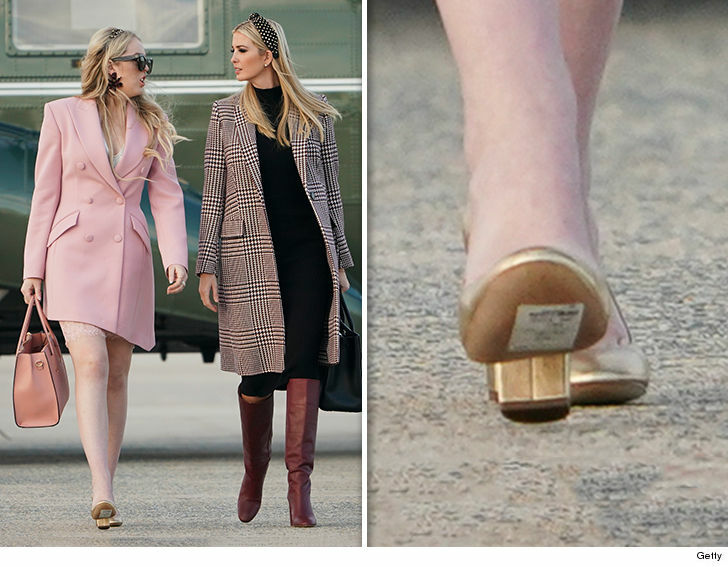 Donald Trump's daughters were the picture of Fall fashion as they set off for their family's Thanksgiving gathering ... and it looks like one of them was in a brand spankin' new pair of shoes. Tiffany and Ivanka were spotted walking together Tuesday to board Air Force One, before departing from Andrews Air Force Base in Maryland for Florida ... where the Trumps will be spending the holiday at POTUS' Mar-a-Lago resort. Tiff must have been running a little late judging by the bottom of her shoe ... because she apparently had no time to take off the price sticker. 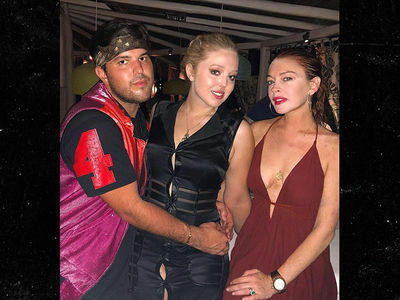 Hard to tell where her pumps are from or how much they cost, but if they turn out not to be comfortable ... the good news is she should be able to return them. Within 30 days, of course.